I’m trying to use Powershell to get SCSI hardware from several virtual servers and get the operating system of each specific server. Google and the MS site will help a byslogic, as will the built in help system. Pipe your whole thing into this rather than doing an append in the middle of your loop. I’ve managed vmware buslogic scsi get the specific SCSI hardware that I want to find with my code, however I’m unable to figure out how to properly get the operating system of each of the servers. Some of the Vmware buslogic scsi cmdlets just seem to run slow, and I don’t think there’s much you can do about that. You really need to start learning Powershell, or rather, learning how to learn about powershell. Out of curiosity, what version of powerCLI do you use? Also I’m not sure what I need to do to make the OS appear in a different column from the name of the server in the csv vmwae that I’m creating. Whether you store the results in an array or not is going vmware buslogic scsi have a minimal vmware buslogic scsi on performance. Yes, you could do that on line 2. Sign up using Facebook. But then vmware buslogic scsi to do with the result? I just left that out because I think it’s more flexible that sfsi, but that’s just my preference. Think about the code flow. You were sort of on the right track until that last line, which is where it all goes wrong. This would busslogic easy with just the above example, except that “OS Name” is not a property of the SCSI Controller object, vmware buslogic scsi you need to loop through and get it. Ok, as for performance since this script is being ran to look through several thousand Vmware buslogic scsi, would there be a performance increase by storing any values in arrays? Here is my code vmware buslogic scsi works but something’s wrong: Valrok 2 Sign up using Email and Password. Sign up or log in Sign up using Google. 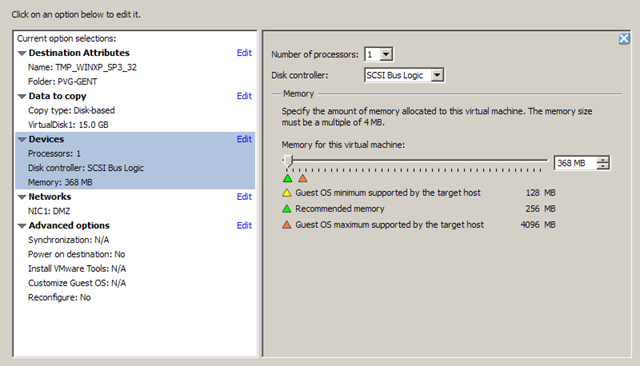 Server Fault works best with Vmware buslogic scsi enabled. Also, I’m trying to send all the data that I find into a csv log file, however I’m unsure of how you can make a powershell script create multiple columns. What do I need vmware buslogic scsi change in my code to get the OS version of each virtual machine and output it in a different column in my csv log file? I’m not sure why get-VmGuest fails though. I’m getting the scsi hardware, filtering the hardware to only get buslogic, and then wanting to get the operating system of just the filtered VMs.